". . . Is it alright? Well, we should go back to. . ."
"What are you saying? I 'on't traffick 'n. Let us go, go." After all, Satori seems aware that he is now being a boy. Though he unintentionally speaks in a girlish way.
. . . By the way, now Ayumi was not wearing a skirt, for she told her sister "not to dress her a skirt!". Was not wearing, well, as Satori could cause Ayumi to be dressed in any outfits, Ayumi did not decide to be dressed so. Say, "not to be dressed", but let us get back to the subject. 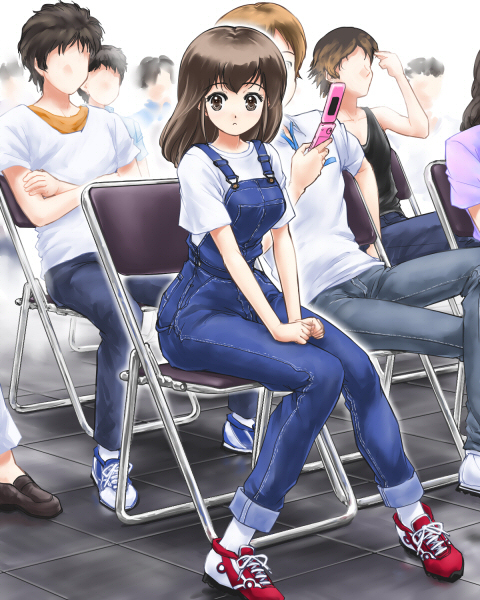 That did not mean Ayumi was wearing pants; She was wearing "overalls".